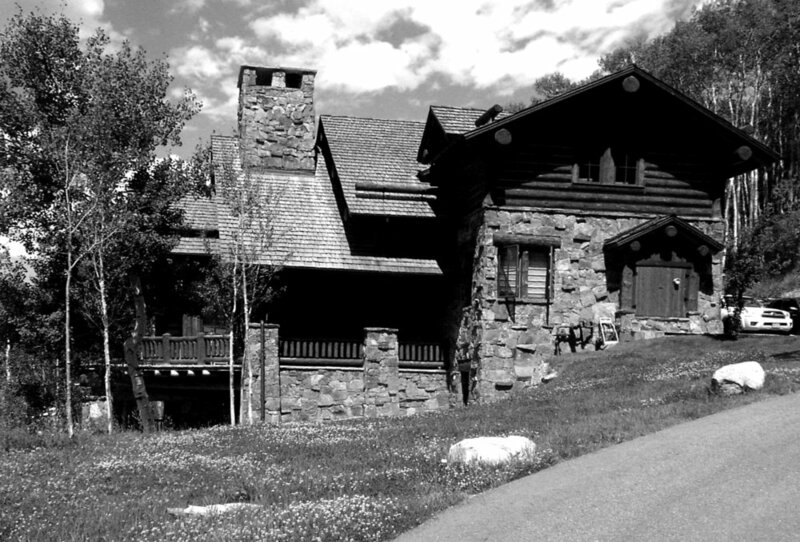 Our work for this project was to develop a vision for the completion of the landscaping around this Colorado resort residence in Bachelor Gulch, Colorado. Photograph of existing residence prior to development of landscape concepts. 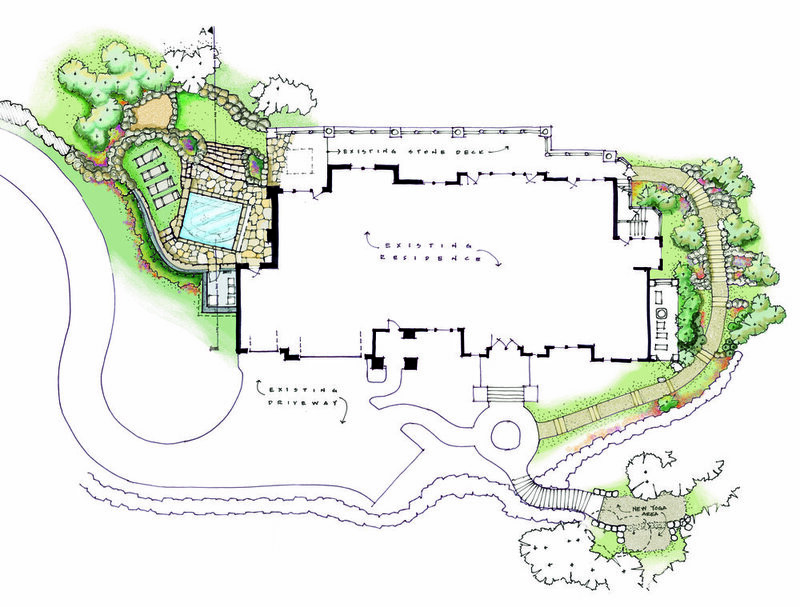 Section concept through spa / entertainment / child's play area. Landscape concept plan developed in collaboration with Terrill Samura of Samura & Associates. Features include: Outdoor spa / entertaining areas, child's play areas, developed and thoughtfully landscaped walkway around the North side of the home, and a new outdoor yoga area.